In China, it is known as the Lancang Jiang, meaning ‘turbulent river’. The Thai and the Lao refer to it as Mae Kong or Mae Nam Kong, meaning ‘mother water’. In the delta, where the river splits into multiple branches, the Vietnamese refer to it as Cuu Long, meaning ‘nine dragons’. But other researchers claim it is longer (4,909 km) which would make it the eighth longest river in the world. The Mekong rises in the Himalayas in China, in an area called the ‘three-rivers area’. The other two rivers that rise here are the Yangtze (6,300 km) and Yellow (5,464 km) rivers. In terms of discharge, the Mekong is the 14th largest river in the world. It discharges 475 km³ of water into the South China Sea every year – that’s about 25 billion swimming pools. The Lao Peoples’ Democratic Republic (Lao PDR) contributes some 35% of this water, followed by Thailand and Cambodia (18% each), China (16%), Vietnam (11%) and Myanmar (2%). The Mekong is usually considered the world’s 12th longest river at 4,350 km. This huge surge of water is referred to as the ‘flood pulse’, and causes extensive flooding throughout the system. As the water races down through the system, it eventually gets to the Mekong Delta, when it begins to back up because there are not enough tributaries through the delta. This causes the level of the river to rise, and forces its way northwards up the Tone River and into the Tonle Sap Great Lake. When the monsoon ends, and the river level drops once more, the Tonle River reverses its flow and begins to head southwards again, draining the Great Lake. The Tonle Sap’s area can grow from just 2,500 km² before the rains, to 25,000 km² during the rains. Most of the territories of Lao PDR and Cambodia fall within the basin. A quarter (25%) of the basin is located in Lao PDR. 23% is located in Thailand, 21% in China, 20% in Cambodia, 8% in Vietnam, and the remaining 3% is in Myanmar. From its source in China to the border with the Lao PDR, the river drops very rapidly – 4,500 meters. This is an area where the river rushes down relatively narrow gorges. This tremendous drop, through narrow valleys, make this part of the river particularly suitable for generating hydropower. The Mekong basin is the second most diverse area on earth, after the Amazon. The Greater Mekong Sub-region (i.e. the area covered by all six Mekong countries) include 20,000 plant species, 430 mammals, 1,200 birds, 800 reptiles and amphibians and an estimated 850 fish species. In 2009, 145 new species were described from the Mekong Region, comprising 29 fish species previously unknown to science, two new bird species, ten reptiles, five mammals, 96 plants and six new amphibians. The Mekong Region contains 16 WWF Global 200 ecoregions, the greatest concentration of ecoregions in mainland Asia. No other river is home to so many species of very large fish. The biggest include the giant river carp, which can grow up to 1.5 meters and weigh 70 kilograms; the Mekong Freshwater Stingray, which can have a wingspan of up to 4.3 meters, the Giant Pangasius, Siamese Giant Carp and the Mekong Giant Catfish, all three of which can grow up to about 3 metres in length and weigh 300 kilograms. All of these are in serious decline, because of dams, flood control and overfishing. One species of freshwater dolphin, the Irrawaddy Dolphin, was once common in the whole of the Lower Mekong but is now very rare. 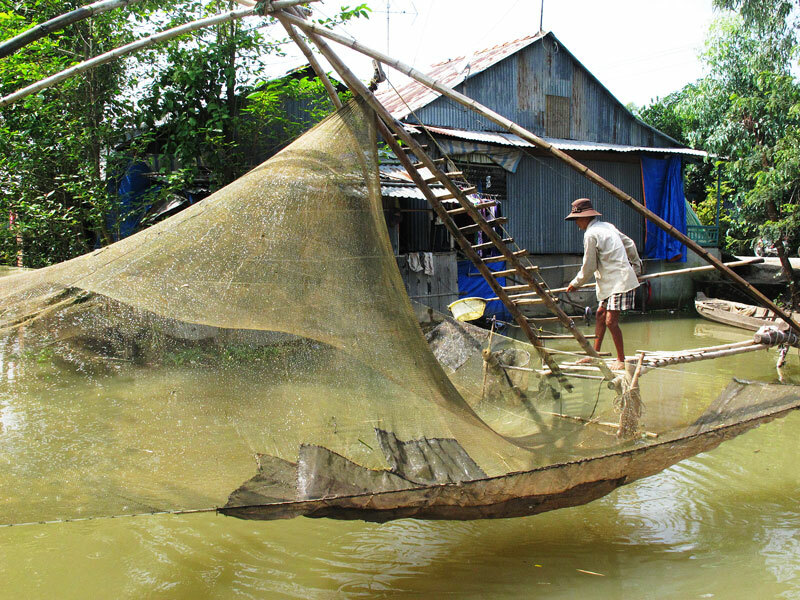 The Mekong Basin contains the world’s largest inland fishery. It yields some 2 million metric tonnes (mt) of fish a year, and an additional 500,000 mt of so-called ‘other aquatic animals’ (frogs, snakes, snails, aquatic insects etc). These figures exclude aquaculture, and refer only to what is known as ‘the wild capture fishery’. 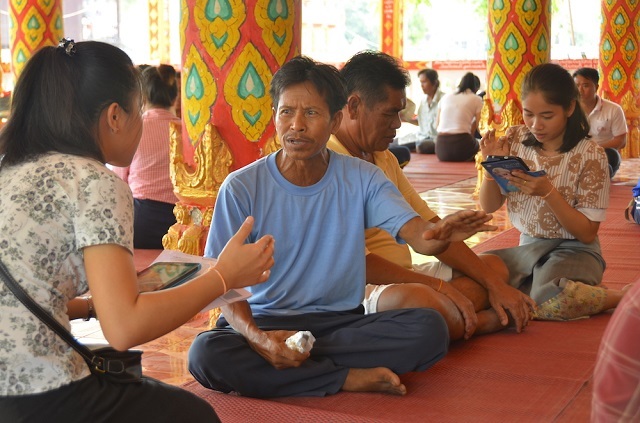 An estimated 40 million rural people are involved in the wild capture fishery – two-thirds of the entire basin rural population. 54 million hectares of forest in the Lower Mekong Basin. The Lower Mekong Basin encompasses the basin outside of China. Forest covers 43% the land area of this basin. Between 1990 and 2005, 1.55 million hectares of forest was cleared. In Viet Nam, forest cover has been increasing at 2% (some 5 million hectares). During the same period, Thailand lost just less than 1.5 million hectares. Overall rates of deforestation were highest in Laos and Cambodia, which lost about 1 and 2.5 million hectares respectively. In Cambodia, the rate of forest loss increased substantially after 2000. Click below to download the Mekong River Basin map.